Stilts for Children as well as Adults - beginners to Professionals. Stilt walking develops coordination, balance and muscle tone. Perfect for novice and expert stilt walkers. 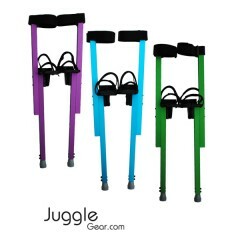 These stilts are made from high quality Aluminum and Bi..